Five people were shot to death by a gunman who barricaded himself inside a SunTrust bank in Florida, authorities said Wednesday. 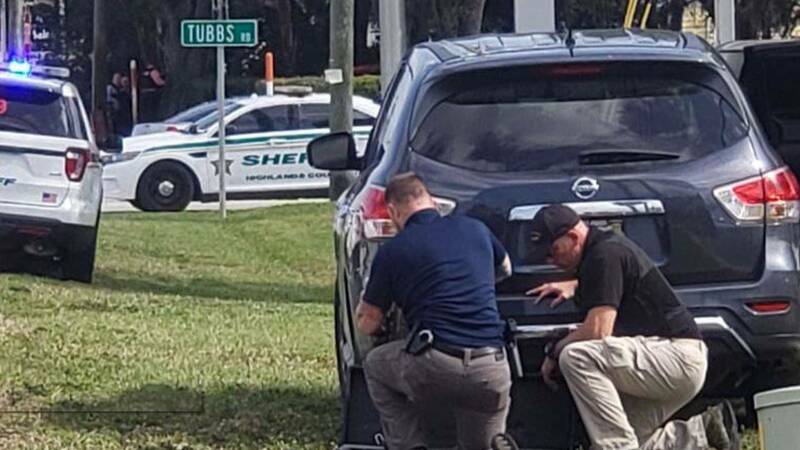 A SWAT team stormed the financial institution after negotiations broke down and the suspect "eventually surrendered," according to the Highlands County Sheriff's Office. The alleged shooter was identified as Zephen Xaver, 21, of Sebring. "Obviously, this is an individual that needs to face very swift and exacting justice," said Gov. Ron DeSantis at a news conference. There were no immediate details released about the victims. "It's been a tragic day in our community," said Sebring Police Chief Karl Hoglund, saying the victims had been "senselessly murdered." Police were called by a bank customer who found the door locked when he tried to get inside to make a deposit, according to the Highlands News-Sun. When he peered inside, he saw people lying on the floor and a man walking among them, the customer said. He called 911 after hearing a "big bang," he told the paper. 2018's Mass Shootings in the U.S.